INTRODUCING: THE FRALIN WIDE-RANGE HUMBUCKER. Our Wide Range Humbucker is a modern take on the original classic. 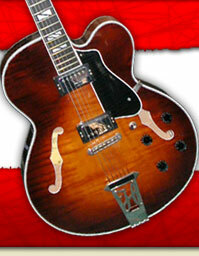 Originally built and designed by Seth Lover for Fender, this was the answer to Gibson’s darker-sounding humbuckers. Today, Lindy Fralin took his idea a little further, by making this pickup sweet, articulate, and clear and clean. Our Wide Range humbuckers will drop right in to your guitar, as they are the same fit and finish as the factory ones. This pickup will sound reminiscent of our P-92’s – Bold, but clear and articulate. The Fralin Wide Range Humbucker is Clean, articulate, and bright. If you have a darker or dull-sounding guitar, these will breathe new life into it. Lows are big, bouncy and clear like most Fender humbucker designs. The Mids are slightly scooped with an emphasis on the high mids. This pickup is sure to cut through the mix, without sounding brittle, shrill or thin. Playing dirty, this pickup won’t break up as early as traditional humbuckers. It will still sound thick in the low mids and smooth on the top-end. Loud, bright, articulate clean tones and smooth, slightly crunchy distortion tones. USA-Made Parts, and Wound to spec, one at a time.